Earlier last week we reported on the Japanese earthquake that forced Toyota Motor Corp. to considerably reduce production. The company's facilities - located in southern Japan - are projected to be closed down for two weeks or more. This production halt could reduce operational profits by as much as $267.15 million. The 6.5 magnitude earthquake is what supply chain leaders refer to as a supply chain disruption. A report by the British Standards Institute concluded that in 2015, global supply chains accrued a combined $56 billion in additional costs due to a variety of different supply chain disruptions including extreme weather, terrorist threats and crime, reported Supply & Demand Chain Executive. Supply chains are very delicate systems and when links in those chains are severed or otherwise disturbed, the damage can spread quickly throughout the remaining links. Disruption within a supply chain can result in major consequences such as increased production costs and decreased productivity levels. In fact, according to Supply Management, a recent analysis by Allianz Global Corporate & Specialty found that global supply chain disruptions are playing a big hand in the growing severity of business interruption. The average losses were found to total up to $4.3 million as a result of the increased interdependency of supply chains in our global economy. "Whereas in the past a large fire or explosion may have only affected one or two companies, today losses increasingly impact a number of companies and can even threaten whole sectors globally," explained CEO of Allianz Global Corporate and Specialty Chris Fischer, according to the source. 1. Ensure end-to-End visibility: Visibility is a critical component of dealing with supply chain disruptions in a quick and efficient manner. According to Thomas Net, 72 percent of suppliers lacked the full visibility needed during a supply chain meltdown to effectively address the problem. Supply chain managers must ensure they have a complete view of every last piece of their respective supply chains in order to ensure an optimal response during periods of disruption. 2. Create and implement a strategic plan: Organizations should have distinct plans in place that work to lessen the impact of potential disruptions. Leaders must reconsider the way things are organized within their supply chains. From inventory positioning to sourcing, a flexible supply chain is better suited to brave most disruptions. 3. Perform a supply chain vulnerability audit: Supply chain disruptions are essentially inevitable. And while vulnerability audits can be time-consuming, they are a great way to prepare your organization for future disruptions. Test the potential pain points of your supply chain and determine whether your proposed solutions are effective or if there is a better way, explained Thomas Net. 4. Update plans consistently: The only thing more important than having a plan in place for supply chain disruptions is consistently updating those protocols. There are hundreds of factors that could warrant strategic revision, from new suppliers to updated government regulations. It is crucial to update your plans on a regular basis to reflect these changes. An outdated plan is nearly as bad as no plan at all. 5. Communicate: Supply chain disruptions require increased communication by nature. There are a million different things being done to mitigate the problem and keeping your team on the same wavelength is crucial for success, explained Thomas Net. Every level of the supply chain should be informed of every move to ensure consistency and efficiency. 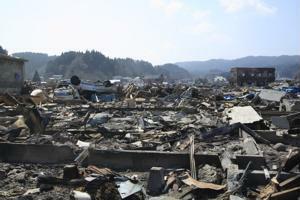 Supply chain disruptions, like the quake in Japan, are an unfortunate reality of business. The best thing and organization can do is equip its team with the relevant tools to mitigate the crises as best as possible. When supply chains are compromised, the consequences can be costly. Ensure your supply chain is ready to face the problems head on to secure optimal business continuity.